Orthopedic Surgery Laboratory & Office Remodel | Oculus Architects, Inc. 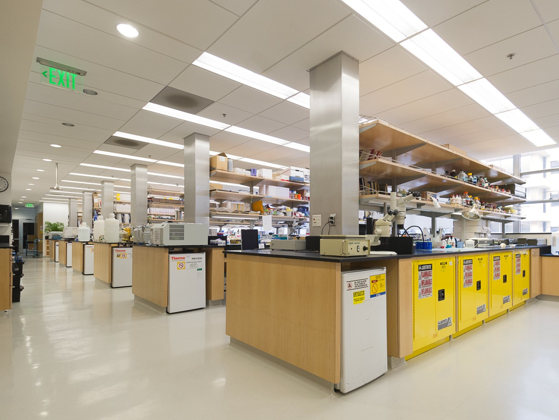 This partial floor renovation project called for the accommodation of three Principal Investigators in a total area of approximately 4,400 SF. The brief for this project was to create a high quality, contemporary, functional and aesthetically pleasing open wet laboratory space for the client group while maximizing the capacity of the available area. A full renovation was carried out with upgrades to all existing systems including HVAC, electrical and data, plumbing and medical gases and fire and life safety systems.